So let’s get started with a few simple examples to show how to use the TODAY() Function and the NOW() Function. 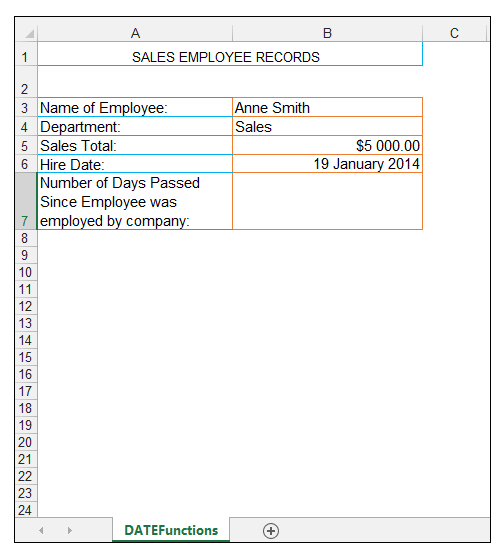 We have a spreadsheet showing some data of an employee working for a company. 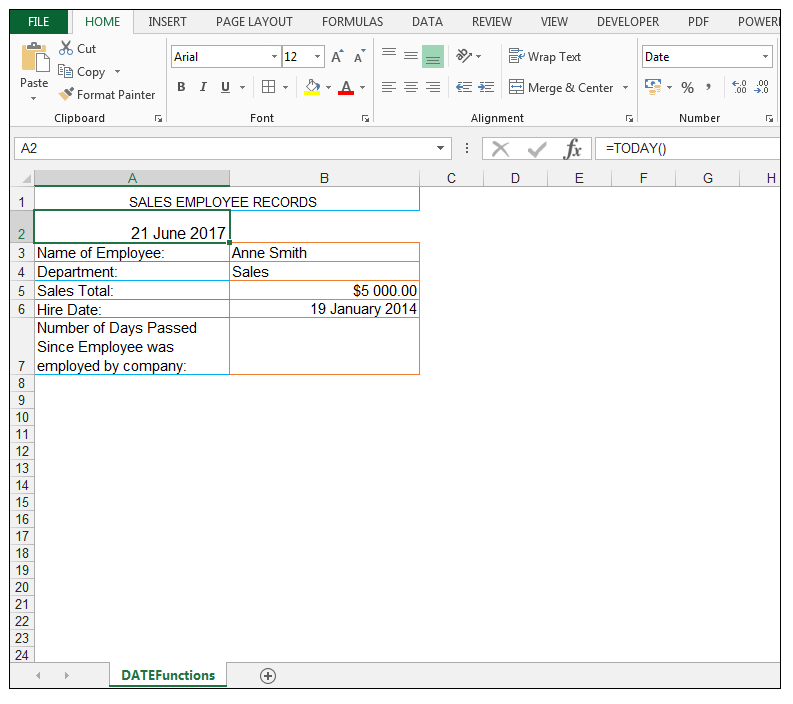 Details such as the employee’s name, department and total sales are recorded. The source data is shown below. 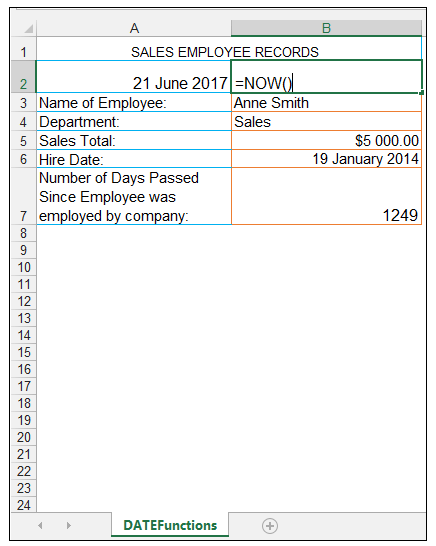 2) Upon pressing CTRL-ENTER, the value of 6/21/2017 is returned, which is the current date, at the time of opening the workbook. 3) If the workbook is opened on the following day, this date would update automatically to 6/22/2017. Read More: Separating Numbers from a Text – [A Formula Challenge for You]! 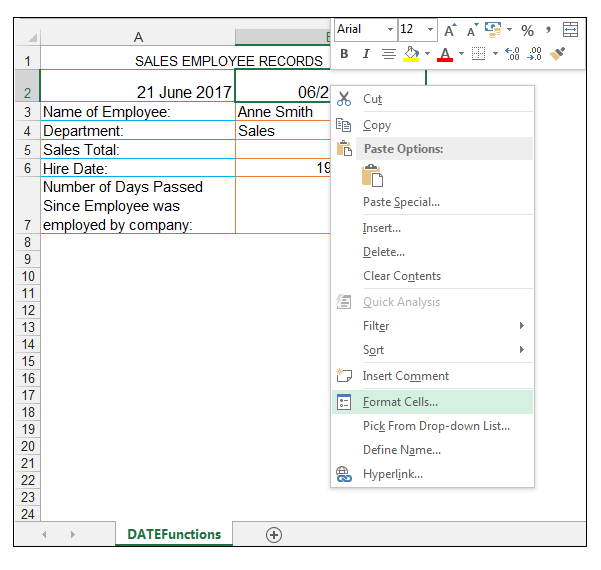 4) We now want to format this date, in order to have it appear as a long date, so in order to do this with cell A2 selected, we go to Home>Number> and then we select Long Date. 5) The date returned is now formatted as a Long Date as shown below. 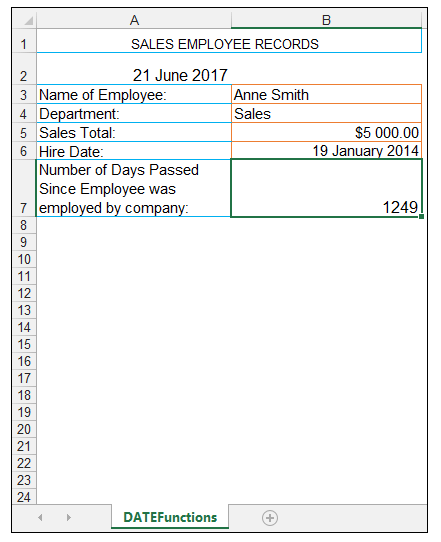 1) We now want to calculate the number of days it’s been since the employee was hired, and we could hard code the date into a formula, however we want the formula to update, so as the workbook, is opened the number of days is updated based on the current date the workbook is opened on. 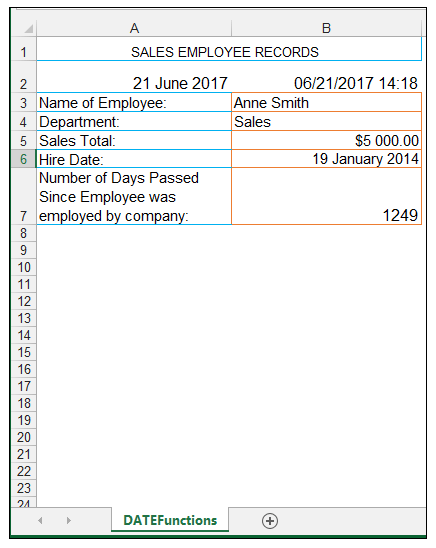 3) Upon pressing CTRL-ENTER we get the value of 1249 returned, which means 1249 days have passed since the hire date of the employee at hand and the current date of opening the workbook which was 21 June 2017. 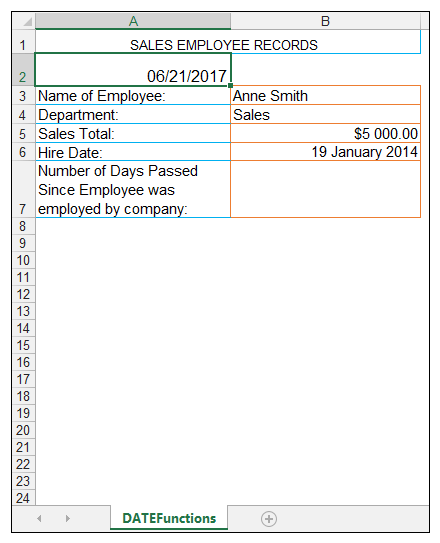 4) Ensure the number format in cell B7 is General, in order to see the number of days that has passed or else one may get an actual date shown. 1) We would now like to obtain not only the current date but the current time in conjunction with the date, so we can utilize the NOW Function() for this specific purpose. 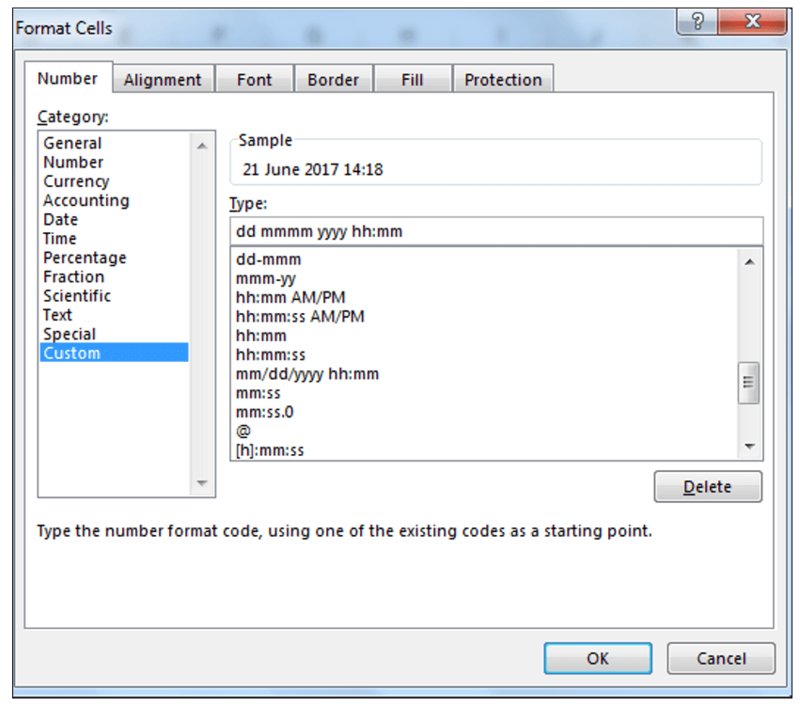 3) Upon pressing CTRL-ENTER we get the current date and time returned as shown below. 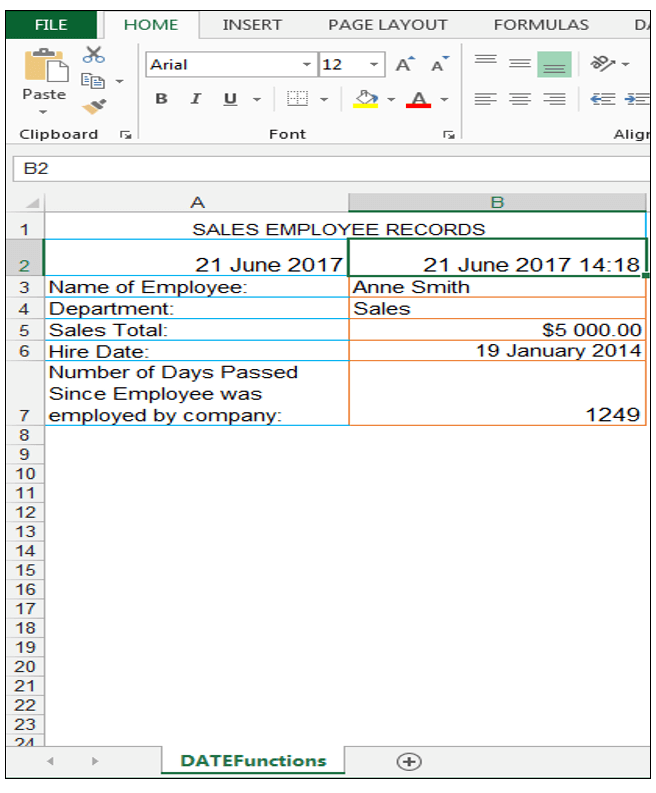 4) If one wants to format this with a long date format with the time, right-click the cell and choose Format Cells as shown below. 6) Press Ok and then the long date and time is shown, as shown below. 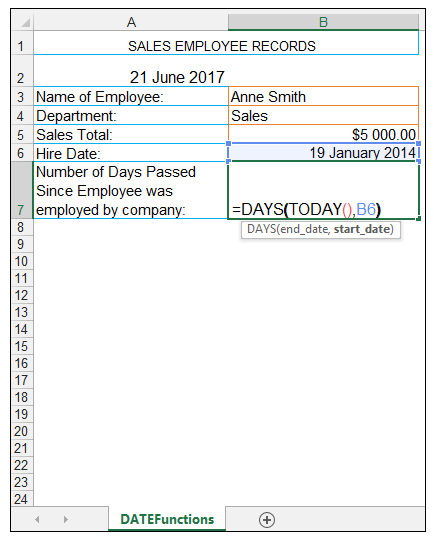 The TODAY() and NOW() Functions take no arguments but are useful for delivering the current date and time. 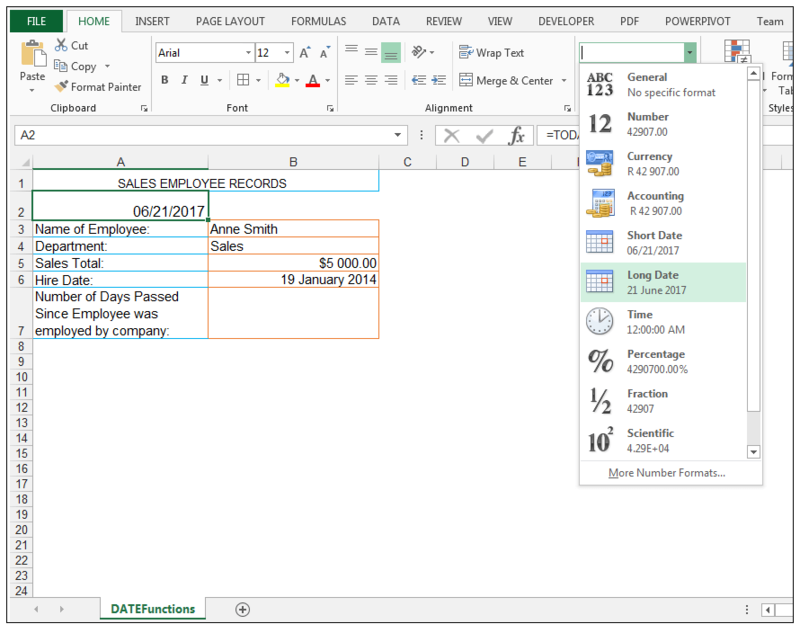 They also can be utilized in other date calculations for advanced date and time calculations. 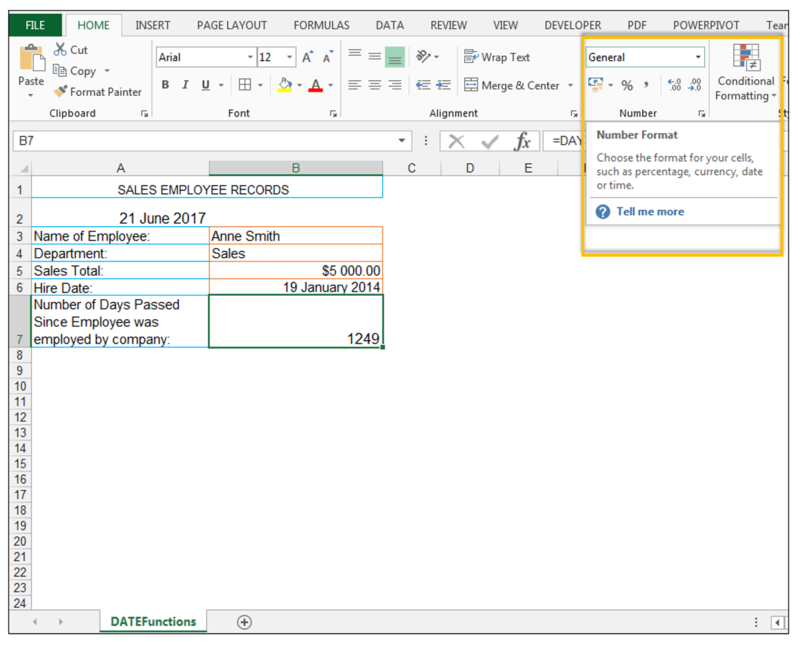 Please feel free to comment and tell us if you often use the TODAY() and NOW() Functions in your spreadsheets. VERY NICE PRESENTATION OF THE TOPIC. I AM 77 YRS., RETIRED AND WANT TO SPEND TIME IN LEARNING MS- EXCEL, WORD AND PPT. I HAVE BASIC KNOWLEDGE OF PC AND WITH THE HELP OF SUCH TUTORIALS IT IS POSSIBLE TO GO AHEAD. THANKS FOR THE HELP AND WISH THE SAME WOULD BE EXTENDED IN THE FUTURE. PRAY ALMIGHTY TO GRANT ENOUGH STRENGTH TO YOU AND YOUR TEAM TO CREATE SUCH TUTORIALS.